When Christine MacLeod was growing up, she met every obstacle head-on. "It's as easy as breathing," she would say. Now, breathing is Christine's biggest challenge. She has bronchiectasis and her lung capacity is dropping. It's now done to 22 percent, so Christine has been put on the list for a double lung transplant. If she doesn't find a match soon, she'll die. 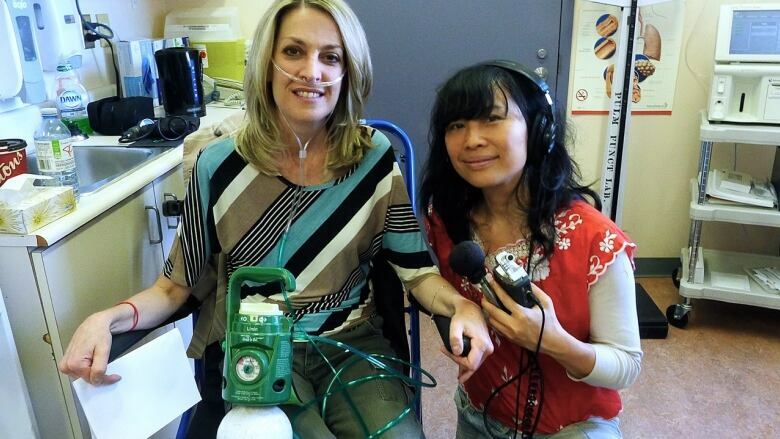 Christine kindly let Sook-Yin visit her at St. Michael's Hospital this week to record her latest breathing test and talk about what she's learned while living on oxygen.